In order to meet our customers' various needs, we have a wide range of trucks, from lightweight to extra-large. Our whole team of professionals is waiting for your order! Over many years in the business of waste disposal, we have built up a great deal of experience and know-how, as well as a wide variety of specialist machines and appliances. From construction, manufacturing, and factory waste to cleaning, management, and conservation, we can respond to a full range of needs. ● You need to dispose of unused items, of any size or quantity from small to large. 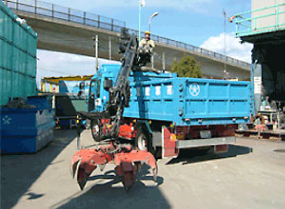 ● You want to have construction waste disposed of, or recycled/reused. ● You have manufacturing surplus wood waste. ● You lack the space or time to separate recyclables, and need someone else to handle separation and disposal. ■ We eliminate needless costs, and offer low rates for your peace of mind! Our highly experienced staff guarantee safety, and efficiently carry out the job in the shortest time possible, to minimise the burden on our customers. You'll find our estimates to be very reasonable! ● Safety is our number one priority! We strive to recycle as much as we can! There is a movement in the direction of reducing the environmental impact of our lifestyles and increasing the practicality of recycling. ● What kind of things are being recycled/reused? 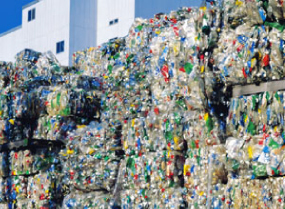 ● How does recycling work? ● Can this be recycled too? 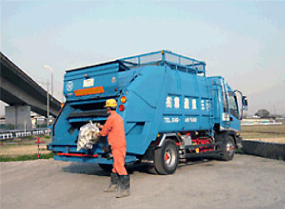 In the course of daily life, a garbage truck is a common sight. That's why we take great care to match our equipment and operating procedures to each local area, to support our customers. ● You want to have waste from Schools or Colleges disposed of, and put to use. ● You want to have waste from Department Stores, Superstores etc. disposed of, and put to use. ● You want to have waste from Restaurants etc. disposed of, and put to use. ● You want to have waste from Companies and Corporations disposed of, and put to use. Our veteran staff have a wealth of experience. Our proprietary vehicle route management system efficiently eliminates needless work, allowing us to get the job done with no time wasted. You'll find our quotes very reasonable! ● We feel that even a single flower blooming in the field is worthy of care. That's our feeling as we work. Safety is our number one priority! 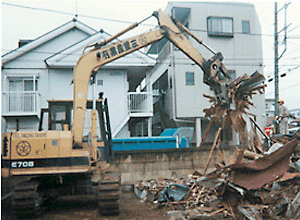 In Demolition work, we make good use of our abundance of knowledge and experience, acquired through many years in the business. We put great effort into the training and education of our engineers. With a close eye on environmental mitigation measures, we get the job done safely. 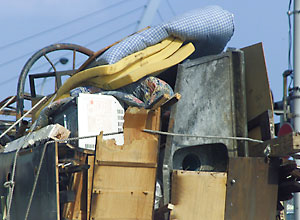 We can also remove and dispose of waste resulting from the demolition, at very reasonable rates. We have cultivated the skills of our staff over many years. By efficiently eliminating unnecessary work, we complete the job in the shortest time possible. Furthermore, our low rates are very reasonable. We can deal with a great variety of tasks, such as short jobs of only 30 minutes or an hour, or to operate machinery on behalf of those who lack the necessary experience. Our operators have established a reputation as polite and well-versed in their work, so you can relax and leave it to us. Or, if you already have the equipment, call us to discuss having one of our operators do the work for you. ■ From only 30 minutes! 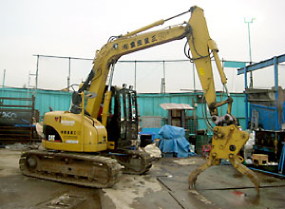 ● Working with heavy machinery can be dangerous, so we always consider safety measures as our first priority. ■ We aim to delight customers with our dedication. 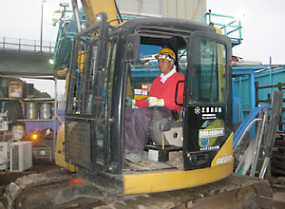 ■ Our experienced staff will carry out the work. We swiftly deal with any kind of job, from a little bit of tidying up, to the demolition and disposal of whole buildings. ● You're busy and don't have the time. ● You are worried about whether we can fulfill your particular needs. ● You are worried that bad smells from garbage might bother your neighbours. ● You'd like the work to be done without your neighbours noticing, if possible. ● You don't know who to ask for help. 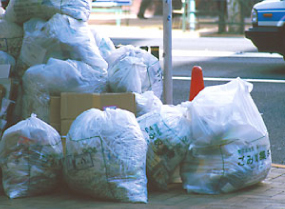 ■ We can collect large quantities of garbage and junk in a single visit. ■ We don't just take the garbage away - we really help you to tidy up. ■ You can make a clean, fresh start. 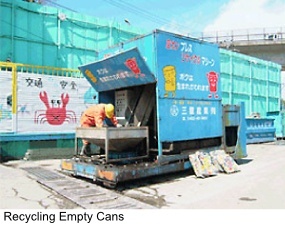 ■ After disposal of the garbage, we can also handle the cleaning, if you wish. ■ We can also help with repairs. Tidying up and disposing of personal effects left behind by the deceased takes a great deal of time and work, and can be difficult and distressing. Our firm can handle the removal and disposal of such items on behalf of the bereaved family, including room cleaning if desired. ● "We just want to throw it all away"
● "These are important mementos, so we want to hold a memorial service for all the relatives." ● The room has been unused for many years, and is now scattered with dust and assorted items. ● When you're not sure what to do in this situation. ● Your busy life necessitates a speedy resolution. 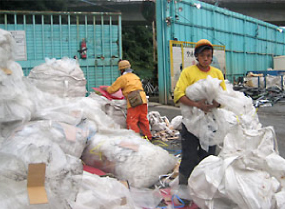 ■ We can collect large quantities of disused items in a single visit. ■ If you wish, we can undertake a memorial service. Personal items full of memories of the deceased can help the bereaved to mourn. When sorting the personal effects, in the presence of the bereaved family, we will carefully check which items are to be retained as mementos. We humbly recommend the deceased's own favourite or most used items as the best keepsakes.